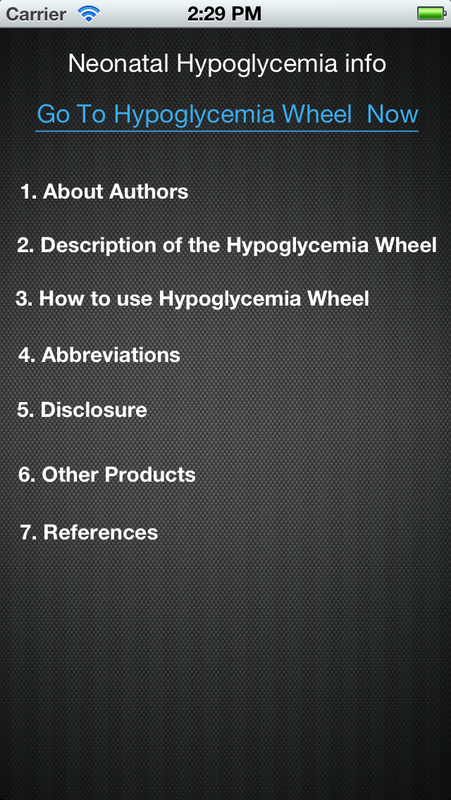 Download Sugar Wheel free via AppsHawk. Lead Author Professor David Adamkin along with the Committee on Fetus and Newborn (COFN-AAP) have recently published* guidelines for management of neonatal hypoglycemia in high risk infants. 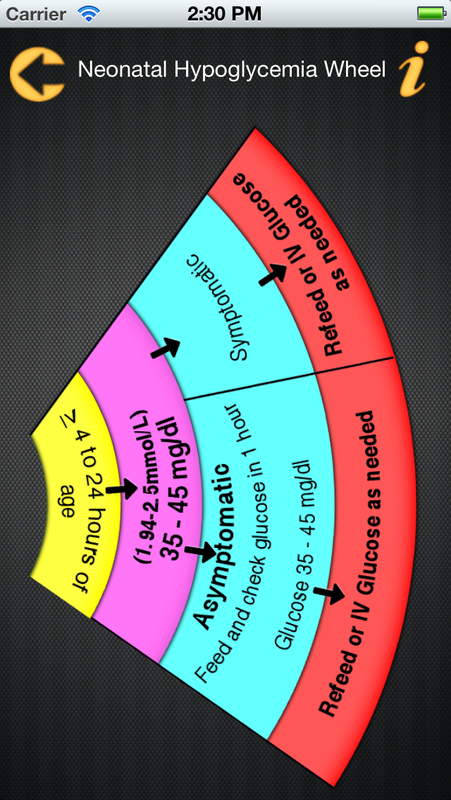 These guidelines are used in making this iPhone app wheel. 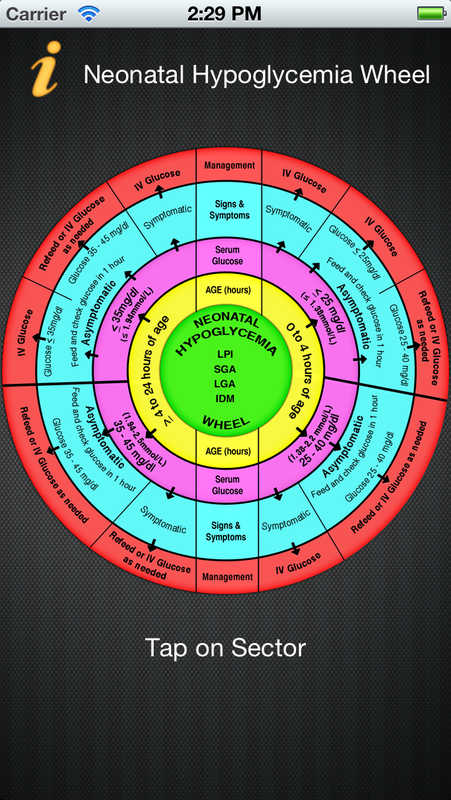 Sugar Wheel is also known as Hypoglycemia Wheel, provides a practical guide and algorithm arranged in wheel format easy to read, for screening and subsequent management of Neonatal Hypoglycemia. 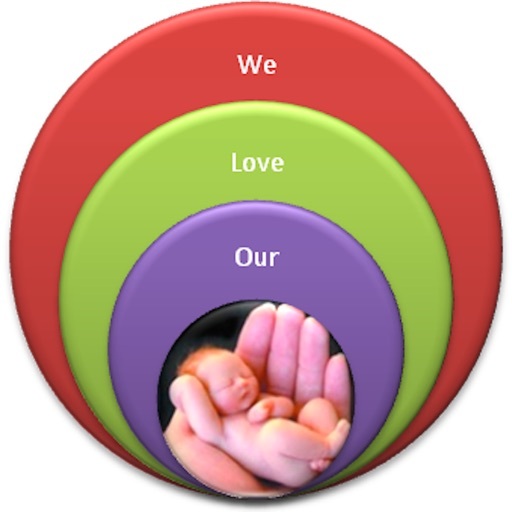 This wheel is intended for LPI (Late Preterm Infant), SGA (Small for Gestation), LGA (Large for Gestation), and IDM (Infant for Diabetes Mellitus) infants. Based on guidelines target glucose screen of â‰¥45mg/dl (â‰¥2.5mmol/L) prior to routine feeds in these Infants is considered normal. 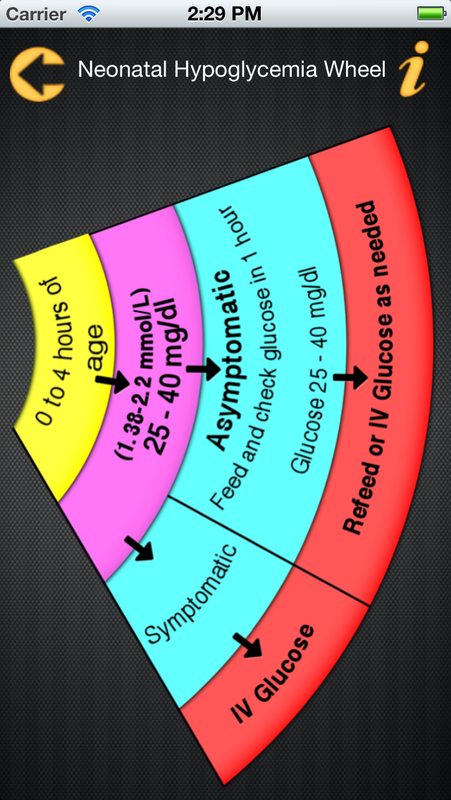 Whenever neonatal hypoglycemia suspected, plasma or blood glucose concentration must be determined immediately by using labs method. Test glucose strip by heel stick method demonstrate a reasonable correlation with actual plasma glucose concentrations but the variation from actual level may be as much as 10-20mg/dl(0.55-1.11mmol/L) and greatest at low glucose levels. Initial feed is usually recommended to be given within first hour of life and screen glucose levels 30 minutes after 1st feed. Infants who are 4-24 hrs of age, feeds are usually given every 2 to 3 hourly and blood glucose screened prior to each feed. 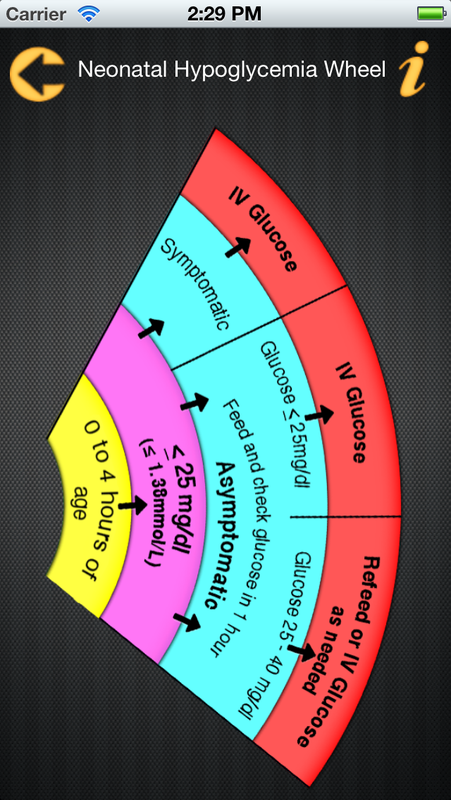 In a symptomatic infant with blood glucose level of <40mg/dl (2.2mmol/L) should receive IV glucose infusion.